Beautiful Carmen Colson and her ironworker husband Wayne are placed in the Federal Witness Protection program after witnessing an incident. Thinking they are at last safe, they are targeted by an experienced hit man and a psychopathic young upstart killer. Cold blooded killer and a chaotic screw-up on a bend killing spree hunting witnessed and ignoring the real plot of the movie. Sounds good? 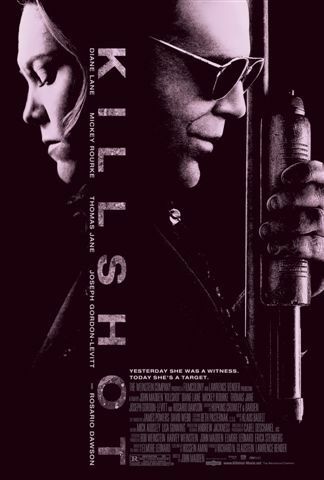 Well... at first you think it's going to be a great movie, but slowly it looses it's grip on the plot as a gangster movie and turns into a weak psycho thriller. I'm not impressed. Joseph Gordon-Levitt playing Richie Nix pulls the acting down. I know his roll is poorly written, but his acting just is not good enough compared to the other actors. If you like gangster or assassin movies, this might be something for you. If you like fast going action, this might be too slow.